We all love a great movie. But whenever that movie has some really great songs in it, then we can enjoy it even more. 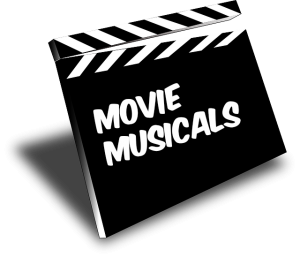 Throughout history, there have been many films made which are considered musicals. 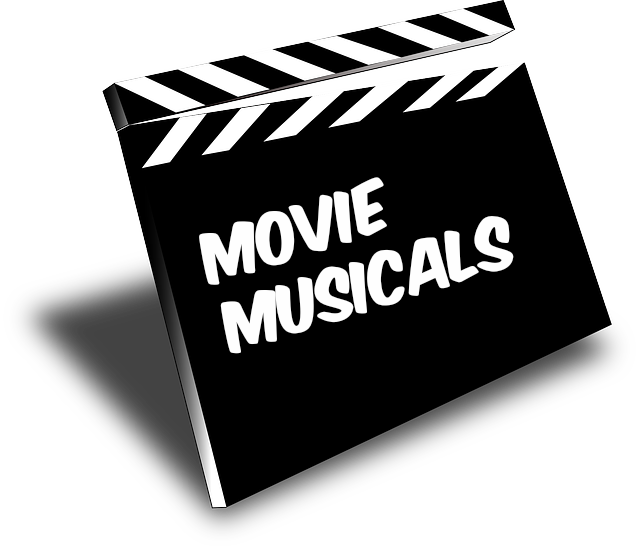 Musicals are either a play or a movie in which dancing and singing play an essential part of the plot or story. Here are Ambient Mixer, we have put together a list of what are considered 20 of the best movies with music in them, or musicals. Considered one of the best musicals of all time, Grease is based on the a romantic story of two high school teens. The roles are played by John Travolta and Olivia Newton-John, which many considered too old to be in high school. Nevertheless, this movie contains about 10 songs which made it to Billboard’s top lists. This film is based on the life of legendary soul singer and musician Ray Charles. The part is played perfectly by actor Jamie Foxx, for which he won an Oscar. More a musical than a movie, West Side Story is a modern day Romeo and Juliet love romance. The story is based on New York street gangs and the harsh streets of the upper west side. With one of the best selling albums of all time, Saturday Night Fever defined all there is to love about the Disco era. The part of dancer Tony Manero is played by actor John Travolta. This is a classic movie which was based on the turmoil affecting the movie industry in the late 1920’s. The scene of Gene Kelly “Singin’ in the Rain” is one of the most recognized all over the world. Based on the real life story of singer Tina Turner, “What’s Love Got to Do with It” is a wonderful movie with some really great music. Starring a real life singer, this movie’s lead roles is played by Prince, who became really famous during the 80’s. The movie itself has many critics which did not seem to enjoy it. However, most will agree that he music in the film, is quite awesome. In fact, several of the songs went on to become huge pop commercial hits. Based on the true story of country music legend Johnny Cash, this film is full of some great songs. The performances are sung by Joaquin Phoenix – who plays Johnny Cash – and Reese Witherspoon. This movie was a huge success at the box office since the lead role is played by rapper, actor and record producer Eminem. You don’t even have to like rap music to appreciate the story and music on this film. Based on the wild experiences of a young teen, Almost Famous is a great film which also contains some pretty good music. The teen, who works for Rolling Stone magazine, goes on tour with the band Stillwater. Who doesn’t know the story of The Wizard of Oz? This is a classic movie that also contains some really enjoyable tunes. Largely based on the hits of the Beatles, This musical movie is a must see on the list of movies with great music in them. Sgt. Pepper’s Lonely Hearts Club Band, recounts the story of sergeant Pepper, which brought music to weary soldiers during WW1. Based on a story a young dancer played by actress Catherine Zeta-Jones, Chicago contains loads of great music and songs. The Chicago film musical was critically acclaimed by both fans and movie critics. That helped launch the Broadway musical as well, which has also become very successful. You don’t have to be a child to enjoy this animated musical movie. The Lion King is one of the best animated films of all time. There’s also a still running Broadway play based on the film as well. Telling the story of the real life singing group, the Supremes, this film leave many wondering about what really happened back then. The movie, although not well received by critics, went on to be a very popular hit Broadway musical. If you are looking for a movie which is funny and has some great music in it, then School of Rock is the one to watch. The part of an overly enthusiastic guitarist is played by actor Jack Black. Elvis Presley plays the part of a convict in this classic musical film. In fact, Jailhouse Rock was Elvis Presley’s film debut. Here’s a chance to see the ‘King’ sing and perform some of the moves he became so famous for. Considered a heartwarming story, The Sound of Music is based on the real life story of the Von Trapp Family singers. It contains a musical scene whose images have been captured in millions of ways for decades. Perhaps the early death of actor John Belushi helped to make this musical movie such a loved film. Nevertheless, there are some really great performances and songs in this movie. This musical film is based on the real life story of singer Frankie Lymon. He was a famous doo-wop singer with the group, the Teenagers. Sadly enough, drugs ended the life of Frankie at the mere age of 25.